Dane Ortlund (PhD, Wheaton College) is senior Bible editor at Crossway in Wheaton, Illinois, USA. 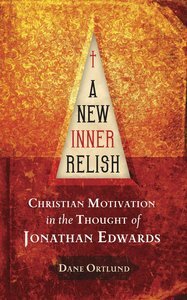 He is the author of A New Inner Relish: Christian Motivation in the Thought of Jonathan Edwards and numerous scholarly articles. He and his wife, Stacey, live in Wheaton with their two sons.